Note: SGQA identifiers and INSERTANS: codes won't be available for usage any longer in LimeSurvey 4 within expressions. Instead, use Expression Manager compatible question codes. Check the following link for naming conventions. Hint: This page describes how you can find out an SGQA identifier. For information how to use it please refer to the page Adding a question. 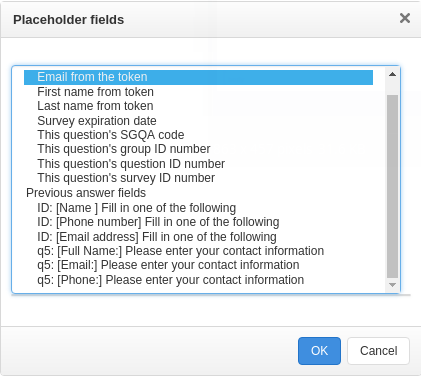 To determine the SGQA identifier, you have to put the survey, group, and question numbers together with the letter 'X' in-between. E.g., an SGQA should look like this: "745X35X5". Note: Always use capital letters ("X" instead of "x")! 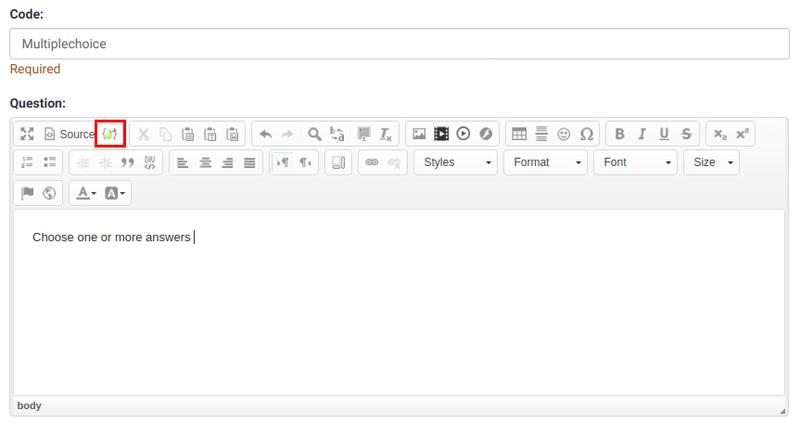 The integrated editor has a feature to select the placeholder for a certain question. The icon is called "Placement fields". This feature always lists questions of previous survey pages only, so it depends on the survey mode.